June | 2016 | LIT.GAZ. It’s a century since the start of the Battle of the Somme this coming Friday, July 1. Before I start this post, honour to the memory of those who died! I’ve been reflecting on human imagination, and more specifically mine, in the context of the Great War. Obviously many writers, from those who lived through the events and times and wrote in prose and verse – and who didn’t need to use their imaginations because they were there – to those who have written much more recently, and mainly novels, have been able to put words onto the page, which have shown readers over the years the nature and effect of the war, and the havoc it wreaked. I have been so fascinated by what they wrote, that I taught First World War literature at school for a good number of years, and always with a focus on messages for us as readers today: what might we learn? how might we behave differently? And this fascination has led me, in recent years, to make a number of visits to various battlefields: relatively brief excursions in Flanders, but two lengthier explorations of the Somme, and visits to the Chemin des Dames and the Verdun battlefield, by way of seeing the war from a French perspective. So I have walked some of the ground. I have seen some of the places where the carnage took place. 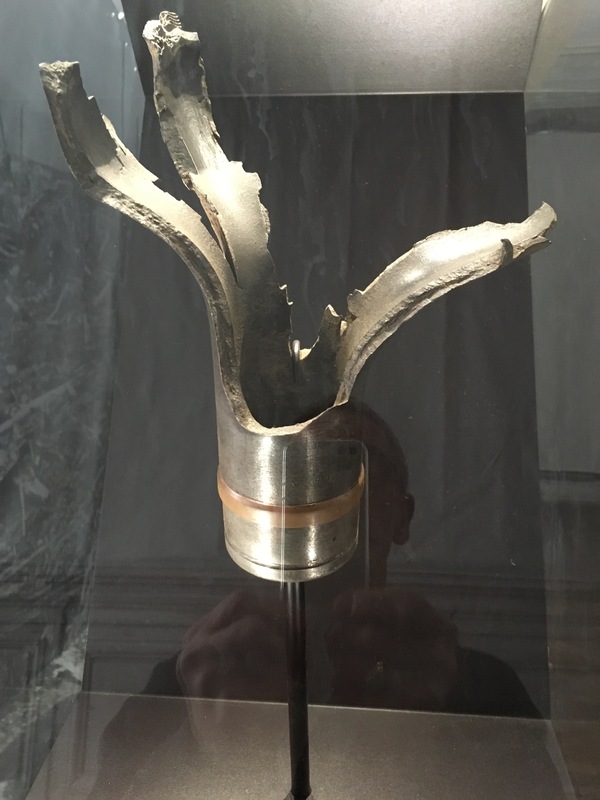 I have mementos – some fragments of barbed wire from Mametz Wood and a machine-gun cartridge case from the outskirts of Peronne. I’ve walked French and German and British war cemeteries, seen the French memorial at Douaumont and the British one at Thiepval. And I’m still stunned. My imagination is defeated totally by the scale of it all. I’ve stood at the Lochnagar Crater and thought, God, you could get half my street in that! but can’t begin to conceive what it could have been like for a German in the front line when that mine went off. I’ve stood at Thiepval and oriented myself, and thought, how could anyone possibly survive walking that distance gradually uphill towards machine-gun fire? The scale of it all is just too much. And, although one can read about the number of deaths and casualties, it just isn’t possible fully to conceive or make sense of the enormity of it all. I think it’s really important for people to visit these places and to remember the past; I’ve noticed that Germans are now also coming to find the graves of their ancestors, and I’ve been very moved by the tributes GCSE History students on school trips have left in a number of war cemeteries, on the graves of combatants from both sides. It’s really important for people to keep on reading the literature from and about those times. This war – and another, perhaps even more horrific in other ways – happened in our, civilised Europe, and until very recently, in living memory, and deliberate efforts to ensure that such things never happen again germinated the European project that Britain managed to reject a few days ago. We have had more than seventy years of peace in Europe, and that’s far longer than any period of time peace before then. Imagination may defeat us, but memory should sustain us. Pause for thought Friday 1 July 2016, 7.30am. I’ve recently started reading some of the many stories featuring Holmes and Watson written by imitators of Sir Arthur Conan Doyle. I can see the attraction: the original stories are largely good reading, and once you’ve got to the end of them, you crave more, and there aren’t any – unless someone else writes them. That’s where the problem seems to start: there are plenty of would-be Conan Doyles, who think they can dash off a story, using his ready-made characters; all you need is a suitable mystery. And then, everything goes wrong. For starters, writing in Conan Doyle mode, and late 19th/ early 20th century idiom isn’t that easy: few manage to get the subtleties of the language right, let alone the complex social mores and behaviours of those times. And then, creating a mystery, which becomes a detective story, sowing subtle clues and showing the great detective at work, stringing your reader along with just not quite enough information to allow them to solve it themselves, isn’t so straightforward, either. 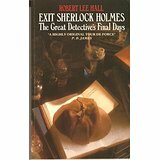 I have to say, this collection is pretty dire and I would urge Holmes fans to avoid it; there are only a couple of stories worth your eyeball time, really. I realise some might say I’m just a disgruntled purist nit-picking, but, for a start, the book’s production levels are poor: idiotic uncorrected spelling and punctuation errors abound. Shoddy editing and poor proof-reading have let too many glaring anachronisms through – when does Holmes ever refer to Watson’s ‘service pistol‘? Did any country actually have a broadcast wireless service during the First World War? 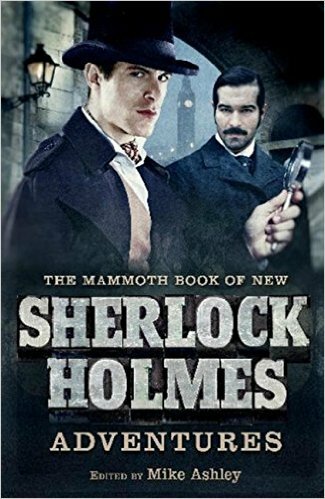 Some of the stories are shamelessly derivative of stories in the canon; many are glaringly obviously in their twentieth century language and social interactions, so amateurish in their failure to sustain Victorian manners, mores, behaviour and speech in a supposedly Victorian context, that the Holmes and Watson carefully created by Conan Doyle stick out like the proverbial sore thumbs. I’ll mention the decent ones: a very good yarn by Michael Moorcock the SF writer, The Adventure of the Dorset Street Lodger, and Barrie Roberts’ The Mystery of the Addleton Curse, which links in nicely with the contemporary work of the Curies into radioactivity; Michael Doyle’s further development of The Musgrave Ritual, one of only two stories in the canon narrated by Holmes, and The Adventure of the Bulgarian Diplomat by Zakaria Erzinclioglu isn’t bad either. Avoid the rest; you have been warned. I used to collect reference books, so that I could easily access information, and have it at my fingertips whenever I needed it. Now they gather dust on my shelves and I’m gradually getting rid of them all. Yes, the internet has rendered most of them obsolete, and I found myself thinking about the enormous change that has taken place in the accessing of information in the last twenty years or so. I grew up needing to use libraries to find things out – the public library, the library at school; they had the reference books, the encyclopaedias, the directories. Gradually, as I could afford them, and became clearer about what would be useful, I began to acquire my own copies of selected works. I’ve worn out a couple of copies of Chambers English Dictionary, one of the Shorter Oxford, and a couple of editions of the Times Atlas… I have reference books on language, literature, Bach, travel and exploration, to name a few. There is something different about using reference books: as well as searching for specific information, one can enjoy browsing, and one can be side-tracked down interesting back alleys whilst searching. The web doesn’t facilitate this. Pretty nearly every reference book is supplanted by what’s available online, in a much more up-to-date form – apart from a good atlas: Google Earth is no substitute for a good printed map, though it can, of course, do many things that my trusty atlas can’t. Now, on my desktop, my laptop, my tablet or my phone, I can find out what I’m looking for in seconds, and the information is (usually) current. Wikipedia is a marvel (who uses the Britannica now? how many people have even heard of what used to be the gold standard in print, hawked to unsuspecting parents by doorstep salesmen for years? Twenty-four, and then thirty-two volumes of high quality knowledge, that you can’t give away now. Not only can I go straight to what I want, but the printed information is enhanced by illustrations, diagrams and filmclips. Instead of trawling through pages of information or a huge index to track down a single nugget, if my search terms are carefully-enough worded, it’s there, instantly. And yet, as I noted earlier, it’s not the same as the physical search through a printed book, where we may serendipitously come across something far more interesting. I’ve had this book on my ‘wanted’ list for several years, and finally came across a secondhand copy unexpectedly. 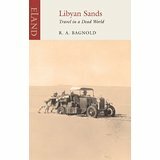 It’s a classic of desert exploration, and set in my favourite desert, the Sahara. A groups of British army officers in the late 1920s and early 1930s really do not seem to have much official work to do and appear to be allowed sizeable amounts of time to mount expeditions to explore and map large areas of the desert, in Egypt and the Sudan and towards the Libyan border (Libya being an Italian colony at the time). The group varies in composition over the years and the various expeditions recounted, but Bagnold was always a member. A particularly fascinating aspect of their travels is that they were the first to explore the Sahara in cars, initially using Fords which they had bought themselves, and when you see some of the photographs of the vehicles, you do wonder how they ever managed with such primitive-seeming transport – we are in days long before the Land Rover and such all-terrain vehicles. So they are not only exploring uncharted terrain, but are also experimenting to see just what cars are capable of achieving in places where there are literally no roads, only sand; they discover the different kinds of sand and how navigable they are, and how to excavate their bogged-down cars, too. They learn how to create fuel and food dumps to allow them to extend the range of their travels; they camp out in the desert; they encounter native tribes; they create real maps of vast areas of desert out of vague sketches, rumours and hearsay. It’s fascinating, in a low-key sort of way, if you see what I mean, and clearly their logistical skills as army officers stood them in very good stead in terms of making a success of a number of expeditions; they had also been involved in the Middle East during the First World War, so did have some familiarity with and understanding of what they faced. There are some maps accompanying the text but they are not very well-reproduced, sadly, and are not as helpful as I would have liked in terms of following the various journeys. This often seems to be the case with travel classics that are rediscovered and republished: the high-quality maps that came with the original editions are far too expensive to reproduced and so are either omitted or crudely copied. When you have read a fair bit about Western explorations of such areas and terrain as I have over a number of years, it’s very gratifying to see the various pieces of the jigsaw coming together over time and place, and the knowledge and description of the area being completed. It’s also useful to remember that this knowledge and discovery is Western, to be seen in terms of control, and for future reference – for example the desert campaigns of the Second World War. The knowledge and understanding of the terrain, the track, trails, oases and what else it contains, of the local inhabitants was something completely different, known for centuries and suited to their very different needs. Nothing is value-neutral. I have always been a good speller, never having any real problems with any aspect of it: once I’ve met a word in print, it sticks along with its spelling. I’ve put this down to the way my memory works – maybe photographically for spelling – and the fact that I read a lot (!) This hasn’t always made it easy for me to be sympathetic to those who clearly found it all much more of a struggle, but I did try. Crystal presents the history of the development of spelling in English, through the varied influences of Latin, Greek, Anglo-Saxon, Norman French, the Great Vowel Shift and a whole host of other factors, including a number of well-intentioned but wrong-headed attempts to reform, to structure and to standardise spelling. We can thus see how the rules and the anomalies and the myriad exceptions came about, and how they cause problems for the unwary and the non-native English speaker. I thought I knew quite a lot about our language and its history, and yet it all came across as much more complicated than I had known. The book – like many others of his – is clear, well-written and explained, and copiously illustrated with examples. 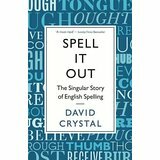 If I’d read this book whilst still working, I would have made some major changes to how I went about teaching spelling. It’s a useful book for the interested general reader as well as for teachers, I think. 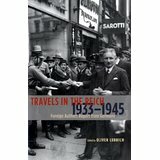 This is a serious, academic book, originally published in German, with a detailed introduction and full critical apparatus, and now available in English; it’s a collection of travel writing, accounts by a number of writers and journalists describing, either briefly or in depth, their experiences, impressions and opinions as they travelled in Nazi Germany. It’s in two sections: travels before the outbreak of the Second World War, and travels after that date. It’s travel writing then, the kind of writing that I’ve been enjoying for years, but with a difference. Some of the writers travel voluntarily to the Reich, others are sent there, as journalists, reporters, business travellers. Before the war, almost anyone can go – unless for some reason they are persona non grata to the authorities; after the outbreak of the war, clearly some nationalities cannot go; neutrals like the Swiss or the Swedes still can, as can Americans until 1941, and also collaborators from occupied countries. What’s also different, of course, is the effect of hindsight. Of course, whatever one reads, travel writing included, from years ago, is read through the light of intervening years. But the hindsight involved here is inevitably so much weightier, particularly when we have the impression that a writer is being deceived, or is deceiving her/himself. ‘How could they be so blind?’ we feel, unreasonably. I was also led to reflect on the difference between history books, accounts of events written some time after, when a bigger picture has emerged and it is perhaps possible to make value judgements, and contemporary accounts of events, perhaps as published in newspapers of the time itself, when events are still unfolding and the final outcome is not yet clear to the participants, though of course we now know everything. 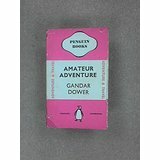 There is an immediacy, and an openness, precisely because of that limited or non-existent perspective, without that hindsight which acts as a corrective and which shapes our judgements; if we really want to know how events, times and places felt to those who lived through them, we cannot do better than read contemporary accounts. Some years ago – the internet is wonderful – I came across scans of newspapers published in Poland as the Germans invaded in September 1939. As the enemy advanced and the destruction and chaos worsened, the newspapers quickly shrank in size, down to two pages, a single side, and by October vanished completely – conquered Slavs did not need to read. This was a perspective I had never thought about; a line in a history book could have told me this happened, but I saw it briefly, much more clearly and effectively, through contemporary eyes. Some of the pieces in the book are quite chilling. Sometimes we see a writer’s eyes opened as they travel, the scales falling from their eyes as they finally see through what is really happening. Sometimes we see them deluded; sometimes we come across perspectives we haven’t met before. It really is a fascinating collection; the introduction is excellent and most of the pieces are well worth our time and attention. Our heroes – for there are two of them in the plane, an accomplished pilot and a rather inexperienced one, one who prefers flying over land and the other who prefers being over the sea – eventually do arrive in India without too many mishaps. The writer rhapsodises about flying over the deserts – quite a lot of desert – and that was good enough for me, and I quickly warmed to his laconic and dry sense of humour. Sadly, there was no map to accompany and track their journey. But, as an insight into the early days of long-distance flight and the difficulties involved, as well as the fragilities of the aircraft, it was illuminating.